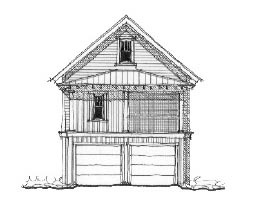 Question: What is the total hight (elevation) for the garage? 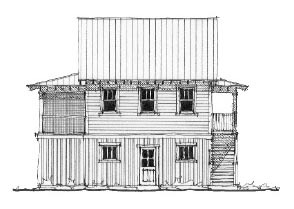 Question: What are the dimensions of the loft? Please include ceiling height. Also, is this a stationary ladder leading up to it? I'm not sure from the drawing. Thank you! Question: Is the loft the bedroom? Answer: With interior knee walls at 5’-0” high, the interior width of the room is 9’-4” and the length is 21’-4”. The maximum height at the ridge is approximately 8’-10”.